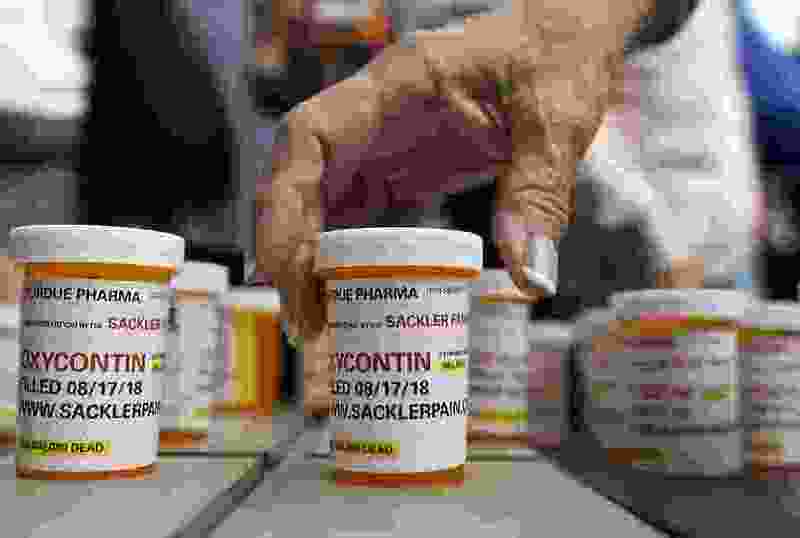 (Jessica Hill | AP file photo) In this Aug. 17, 2018, file photo, family and friends who have lost loved ones to OxyContin and opioid overdoses leave pill bottles in protest outside the headquarters of Purdue Pharma, which is owned by the Sackler family, in Stamford, Conn. The headline of Marty Bernstein’s Jan. 13 commentary, “There is no known cure for addiction,” really grabbed my attention, primarily because his premise has been shown to be incorrect. I will return to this subject later, but I have to lay the groundwork first. Physicians frequently perform tests before prescribing medications or other treatments. Your family doctor won’t write a prescription for insulin until your blood glucose has been tested, nor will a surgeon perform a mastectomy without confirming the presence of breast cancer. But treatment for mental illness typically begins without testing the patient’s brain. This is particularly troublesome when psychotropic medications are prescribed. Many have a black box warning, the highest warning issued by the Food and Drug Administration, due to the risk for serious or life-threatening side-effects. Mental illnesses, including drug and alcohol addiction, are brain diseases. The behaviors caused by mental illness are symptoms of the underlying brain disease. Practitioners such as myself, who routinely test the brains of our patients before recommending treatment, know that the symptoms we see can have their origins in a variety of neurological abnormalities. For example, the clinic where I practice specializes in diagnosis and treatment of ADD/ADHD. Quantitative electroencephalography (QEEG), the standardized brain imaging modality that is used in the clinic, can identify three primary neurological subtypes of ADHD. Many of our patients have more than one subtype. Another brain imaging method, SPECT, has found seven ADHD subtypes. There are multiple subtypes of depression, anxiety and other psychiatric conditions. QEEG gives the physician and nurse practitioners in the clinic the information they need to make personalized medication recommendations for each patient based on his or her brain electrical activity, rather than prescribing by trial and error. How does all of this relate to addiction? There are patterns that are visible in a QEEG (and in SPECT scans) that correlate well with an individual’s substance abuse history. Those who abuse central nervous system relaxers (alcohol, marijuana, opiates, etc.) typically have excess fast brain wave activity, while abusers of central nervous system stimulants (cocaine, meth, Ritalin, etc.) usually have too much slow brain wave activity. Some have a combination of the two, which makes them vulnerable to abusing relaxants and stimulants. As far as I am aware, there is only one substance abuse treatment program in Utah that uses brain imaging to guide treatment. The Merriam-Webster Dictionary defines cure as, “recovery or relief from a disease.” When the neurological disease origins of the symptoms of addiction are identified by quantitative EEG, they can be cured with a type of psychophysiological psychotherapy called neurofeedback, which involves learning how to normalize abnormal brain wave patterns. The person who abuses opioids because they get relief from the anxiety caused by excess beta (fast) wave activity is much less likely to continue the abuse if his or her beta activity becomes normal and their anxiety level goes down. Neurofeedback as part of a multimodal treatment approach for substance abusers is not new. It has its origins in research that began in the 1970s. Never heard of QEEG or neurofeedback? You are not alone. Most medical and mental health professionals don’t know about them. Part of the problem is that health insurance companies do not want to pay for neurofeedback because it is not a fast cure. Patients may need 40 or more sessions to achieve a significant treatment outcome. That is a significant financial expense, somewhere around $5,000, but only a fraction of the cost of inpatient treatment. Marty Bernstein was correct when he wrote that addiction is a terrible disease. I have watched as friends and patients lost their families, their livelihoods, their health, their freedom and, in some cases, their lives because of addiction. I believe that most of it could have been prevented if treatment for their disease, not just the symptoms, was available to them. I have 40-plus years of research and the experience of a lot of clinicians to back me up. Google “neurofeedback for addiction” or go to the bibliography on the International Society for Neurofeedback and Research website at www.isnr.org. 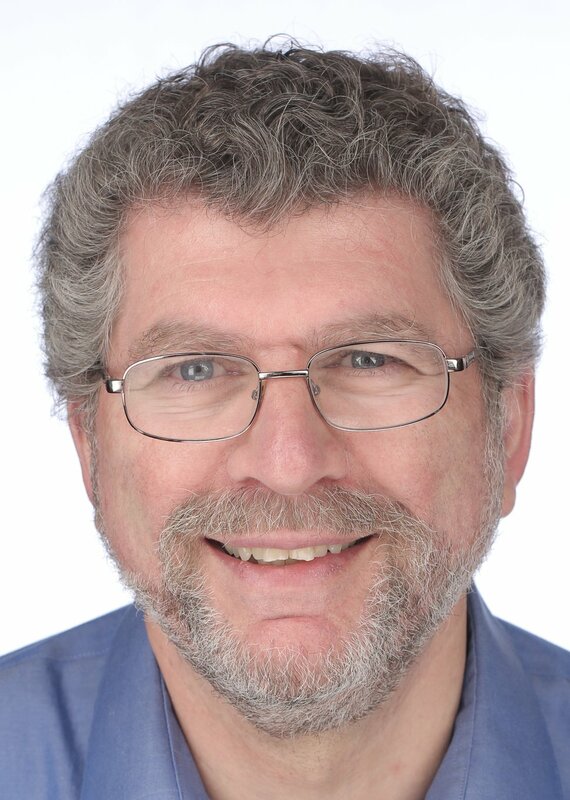 Aharon Shulimson is a psychologist with a postdoctoral degree in clinical psychopharmacology. He is in private practice in Salt Lake City.